Multimode fibers, according to the specification and briefly by their bandwidth performance are commonly classified into OM1, OM2, OM3, and OM4. Each multimode type has different transmission data rates, link length and bandwidth for specific protocols, applications, and transceiver types. Table 1 outlines the international standards organization classification for multimode fiber which describes the strength for speed and distance. From the above table, we can see that OM1 is the 62.5-micron fiber, while OM2/OM3/OM4 are the 50-micron multimode fibers. OM1 multimode fiber was used to be the most common multimode fibers in the ’80s and ’90s. However, it is generated accepted that OM1 will soon be obsolete for the lowest data carrying capacity and shortest distance limitations as compared with other multimode fibers. As for the 50-micron multimode fibers, they are the most commonly used fiber types today, especially the OM3 and OM4 cables. Why do the multimode fibers with a smaller diameter have better performance than the large one? Please read on. In terms of the performance in 50-micron and 62.5-micron multimode fibers, the difference lies in the fibers’ bandwidth or the signal-carrying capacity. Bandwidth is actually specified as a bandwidth-distance product with units of MHz-km that depends on the data rate. As the data rate goes up (MHz), the distance that rate can be transmitted (km) goes down. 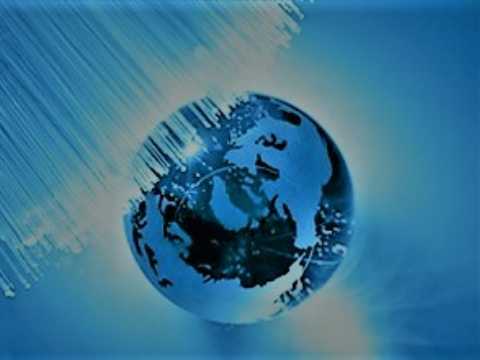 Thus, a higher fiber bandwidth can enable you to transmit at higher data rates or for longer distances. For example, 50-micron multimode fiber offers nearly three times more bandwidth (500 MHz-km) than FDDI-grade 62.5-micron fiber (160 MHz-km) at 850 nm. While fiber bandwidth is a critical factor in determining link length and data rate, transmitter and receiver characteristics also matter. For 850-nm Gigabit Ethernet, these bandwidth values support link lengths of 220 meters over 62.5-micron fiber and 550 meters over 50-micron fiber. For example, Cisco GLC-SX-MM operating at 850-nm can support a link distance of 550 m over 50-micron fiber (OM2). Today, the 850-nm operating window is increasingly important, as low-cost 850-nm lasers such as Vertical Cavity Surface Emitting Lasers (VCSELs) are becoming widely available for network applications. VCSELs offer users the ability to extend data rates at a lower cost than long-wavelength lasers. Since 50-micron multimode fiber has higher bandwidth in the 850-nm window, it can support longer distances using these lower-cost VCSELs. Thus, 50-micron multimode fiber is more suitable for fiber backbones running Gigabit Ethernet and higher-speed protocols over longer distances. Single-mode fiber, owing to the more expensive electronics required in the network, is usually used for much greater-reach applications but not a cost-effective investment for future application in the building. As the multimode fibers can be divided into OM1, OM2, OM3 and OM4 fiber types, single-mode fibers usually come in OS1 and OS2 fibers. 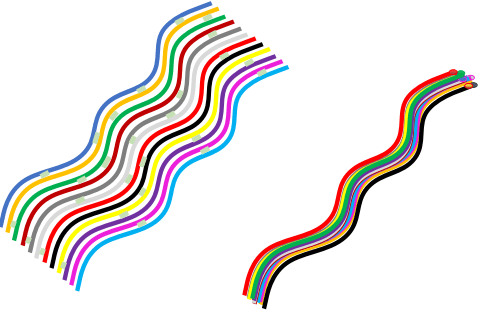 Jacket color is sometimes a simple method to distinguish multimode cables from single-mode ones. 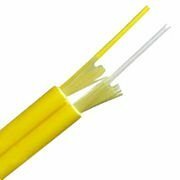 The standard TIA-598C recommends, for non-military applications, the use of a yellow jacket for single-mode fiber, and orange or aqua for multimode fiber, depending on type as you can be seen in the figure. The jacket color of the cables made of Multimode fibers and Single mode fibers are different as you can see from the above picture. The difference between multimode and single-mode optical fiber (9-micron core) is that the former has a much larger core diameter; much larger than the wavelength of the light carried in it. Because of the large core and the possibility of large numerical aperture, multimode fiber has higher “light-gathering” capacity than single-mode fiber. In practical terms, the larger core size simplifies connections and also allows the use of lower-cost electronics such as light-emitting diodes (LEDs) and Vertical Cavity Surface-Emitting Lasers (VCSELs) which operate at the 850 nm and 1300 nm wavelength (single-mode fibers used in telecommunications typically operate at 1310 or 1550 nm). However, compared to single-mode fibers, the bandwidth & distance product limit of multimode fiber is lower. Because multimode fiber has a larger core-size than single-mode fiber, it supports more than one propagation mode; hence it is limited by modal dispersion, while the single mode is not. The light sources used in these two fiber types also play a critical role in the performances. The LED light source sometimes used with multimode fiber produce a range of wavelengths and these each propagate at different speeds. This chromatic dispersion is another limit to the useful length for multimode fibers. In contrast, the lasers used to drive single-mode fibers produce coherent light of a single wavelength. Due to the modal dispersion, multimode fiber has higher pulse spreading rates than single mode fiber, limiting multimode fiber’s information transmission capacity. Thus, single-mode fibers are often used in high-precision scientific research because restricting the light to only one propagation mode allows it to be focused on an intense, diffraction-limited spot. The growth in subscribers’ demand for more sophisticated electronics and web-connected services increases the requirement for information storage and cloud technology. End-users also want to know how to choose the right cable type for your network application. Therefore, I hope after reading this article you might have learned something from it.